If you cannot access any of my publications here or through researchgate, email me and I will gladly send you a pdf. Ocean current connectivity propelling the secondary spread of a marine invasive comb jelly across western Eurasia. Jaspers, C., Huwer, B. [and 46 others including van Walraven, L.]. Global Ecology and Biogeography 27: 814-821.
van Walraven, L., Dapper, R., Nauw, J. J., Tulp, I., Witte, J. IJ., van der Veer, H. W.
van Walraven, L., Daan, R., Langenberg, V., van der Veer, H.W. Can guild- or site-specific contrasts in trends or phenology explain the changed role of the Dutch Wadden Sea for fish? Tulp, I., van der Veer, H. W., van Walraven, L., Bolle, L. J.
Coolen, JWP., Lengkeek, W., Lewis, G., Bos, OG., van Walraven, L., van Dongen, U. Marine Biodiversity Records 8, e240. 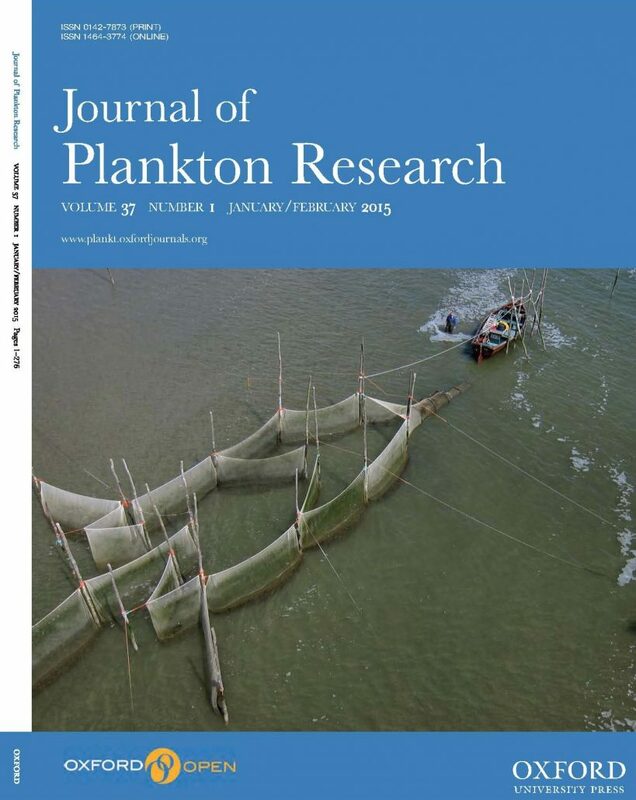 My kite aerial photo on the cover of Journal of Plankton Research 37 which featured our 2015 study on scyphomedusae long term trends. Doto dunnei en Eubranchus vittatus: kandidaten voor de Nederlandse zeenaaktslakkenfauna. Grote zeepaddenstoelen (Rhizostoma octopus) aangespoeld op Texel.